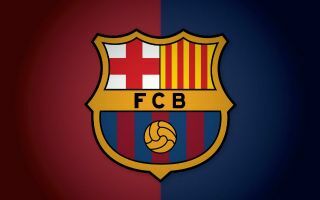 Barcelona are reportedly open to allowing Denis Suarez and Rafinha to leave the Nou Camp, and could accept less than they were previously demanding. Suarez in particular seems like an obvious decision, given the 24-year-old has managed just one appearance so far this season which came in the Copa del Rey. That’s not a role he can afford to continue with at this stage of his career as he needs to play regularly to kick on and reach his full potential, and Mundo Deportivo claim that Barcelona are now ready to facilitate an exit for him. Further, it’s suggested that having previously valued the Spanish midfield ace at around €30-35m, the Catalan giants will accept less given his lack of playing time and current situation, and so it remains to be seen who is eager to snap him up and give him the type of role that he craves. As noted by Sport, AC Milan are one of the clubs paired with an interest, and with Lucas Biglia and Giacomo Bonaventura both currently long-term absentees due to injury, a signing to bolster their midfield could be needed in January. Meanwhile, Rafinha is also being tipped to move on if the right offer comes in, and similarly it’s suggested that Barcelona could be willing to accept a little less than the €35m that they were previously seeking, as per Mundo Deportivo. The 25-year-old has fared slightly better than Suarez, scoring a goal in seven appearances so far this season, but similarly, he has struggled to establish himself as a permanent fixture in the starting line-up. With that in mind, coupled with the impressive nature of his loan spell at Inter in the second half of last season, perhaps he would also benefit from a move away from the Nou Camp to play regularly and showcase his quality.